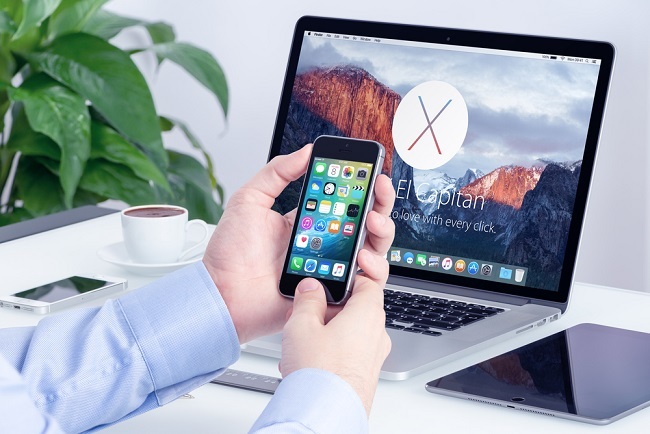 Is User Experience the Biggest Security Issue of Apple iOS? Apple created the most innovative and influential data protection system, but it has one big problem. People are not serious about the tools of protection, and the tools lose their high utility because of this. The safety of iOS devices is perfected to the ideal, and it is complicated to harm. But this only applies to conditions of ideal use. The foolish may ignore important safety tools like an iOS VPN. Other users, for example, banally forget to put passwords, and this is not the worst thing. After all, you still need to remember not to click on a suspicious link in an e-mail, you know. You can make ten levels of device protection at the hardware and software levels, but what's the point, if the user takes and voluntarily gives his password to someone else's hands? Clicking the link and the house of cards is falling apart. That's how everything is strangely arranged in our world. So, negligence of exploitation seriously calls into question the effectiveness of the developed measures of protection, however paradoxical it may sound. So the constant grinding of the operating the system and cleaning applications in the store is not a panacea, even at the highest level of responsibility. (This is the level that Apple is today.) Simply put - your phone can be hacked after install spyware. And any users get access to your cell phone remotely. Look at this list of best iPhone spy apps. But let's turn to the numbers to denote the superiority of iOS. The best reason to love this system is a constant update. So, without unnecessary interference, even an uncapped user can keep his device fully secure, getting in an automatic mode decisions against the newest threats. If we take the statistics from February, 80% of the iOS mobile devices came up to the most original version 10, when using version 9 remained 16% of users. As a comparison, about Android: in May, less than 7% of phones were updated to the new 7 version, when more than 31% and 23% of devices continue to work with versions 6 and 5.1 respectively. And here an even higher level of technological literacy of iOS users does not help. Time after time people get hooked. Let's name the most common iOS security problems at the moment, which is affected by user negligence. Phishing attacks are the most "famous" security threat of iOS platform according to the version of technical specialists. Specificity of this threat is in the sending (by the villain) links to the site. After the user clicks on a link, the phone automatically installs harmful programs, or personal information becomes stolen. An algorithm that monitors and blocks potential threats on links faster than the user has time to open. But from interaction with the user, it will be right to find a threat and directly inform the user about it to help him to make block decision by himself. This is the way of forming security etiquette on the Internet. The idea is that it's easier to train people and develop simple habits than to create more and more sophisticated automatic protection mechanisms from everything. Also, many problems to iOS’s security reputation are created by those who forget about password protection. If the device is stolen or lost, it will be easy to take data from it without such protection. It is also important to talk and inform about the importance of the issue. People may not remain indifferent to security and apparently, know what negligence leads to problems. This issue has less resonance than before, but still real. Apps in Apple App Store can be hacked, harming downloaded people after installation. The probability of facing with this problem decreased at the moment when the company began to control the downloadable content for "tricks" very rigidly. But this does not mean that absolutely every application here is safe. The store loads a huge amount of content and algorithms can’t check 100% of it quickly and accurately. This type of problem is not always the fault of the user, but you can often find signs of potential hacking. Applications cannot work without permission. If a simple program like a flashlight app asks you to access the contacts, it's a great indicator to stop the installation immediately. Be careful and keep your iOS mobile environment clean! You can influence this, and the result is almost total security. After all, if nothing is touched, IOS is still the best.